It never ceases to amaze me how early stores have merchandise for holidays. The other day I was in Michael's and all the Halloween decor was already on sale and the Christmas stuff was being unpacked. What!!?? This will be the first Halloween card that I have ever given. I am going to send it to my nieces with pictures of my girls in their costumes tucked inside. It will be fun for them to see pictures of their cousins all dressed up. 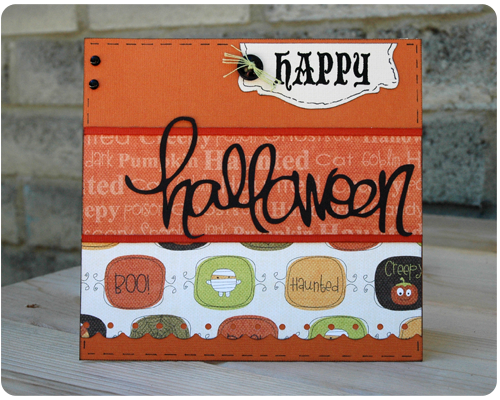 Do you give cards for Halloween?